Flipkart and Amazon, the two biggest players in the Indian e-commerce arena will kick off their sales on Monday. 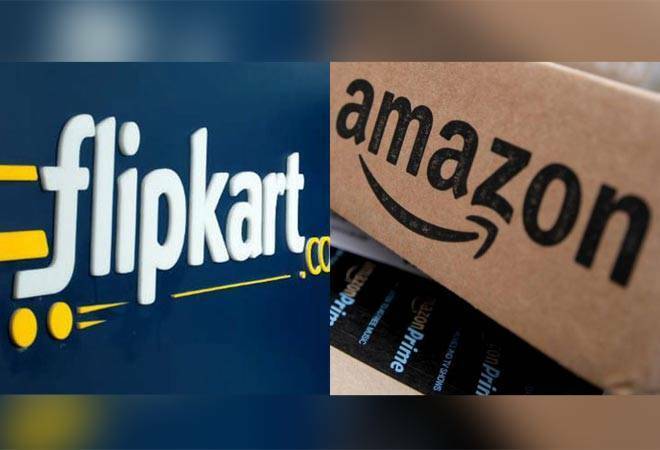 Flipkart will introduce its Big Shopping Days, whereas Amazon will open its Prime Day 2018 on July 16. Flipkart's Big Shopping Days will start from 4:00pm on Jul 16 and will continue till July 19. On the other hand, Amazon Prime Day 2018 will go on for 36 hours, ending on July 17. Both the sales promise to bring exciting deals, discounts and offers for buyers across segments including smartphones, electronics, fashion, home decor and more. Flipkart's Big Shopping Days will see discounts and offers on over 1,500 smartphones and feature phones. Buyers paying through SBI credit cards can avail 10 per cent discount on their phone purchases. Flipkart is also offering minimum Rs 500 off on exchanging old phones, including those supporting 2G and 3G networks. Under its Big Shopping Days, Flipkart is offering the Google Pixel 2 (128GB) for Rs 42,999. There is a flat Rs 16,001 discount under the sale, flat Rs 8,000 cashback on using select bank cards, and an additional discount of Rs 3,000 on exchange, taking the effective price to Rs 42,999. The Google Pixel 2 also comes with a buyback guarantee for Rs 199, which offers buyback guarantee value of up to Rs 37,000 while upgrading to a new smartphone within 6-8 months via Flipkart. This further brings down the net cost of ownership of the Google Pixel 2 (128GB) for 8 months to Rs 5,999. Flipkart Big Shopping Days is also offering good deals on Apple's iPhone X, iPhone SE and iPhone 6s. The e-tailer will also host sales for Xiaomi's Redmi 5A and Redmi Note 5 Pro, as well as Asus Zenfone Max Pro M1 at different time slots on July 16. The Honor 10 (6GB/128GB) will also be available for only Rs 29,999 instead of 35,999 during the Big Shopping Days. The recently launched Asus Zenfone 5z will also be available during the sale. There are lucrative exchange offers on some popular smartphones too. Flipkart is offering additional Rs 3,000 off on exchange while purchasing Vivo V9 and Vivo V9 Youth during the Big Shopping Days. Amazon will launch the OnePlus 6 in a red colour variant with 8GB RAM and 128GB internal storage. This variant of the OnePlus flagship has been priced at Rs 39,990. Two variants of the selfie-centred Xiaomi Redmi Y2 will also go on sale during the Amazon Prime Day 2018 from 1:00 pm. Amazon is offering discounts up to 40 per cent on OnePlus 6, Huawei P20 Pro, Moto G6, Moto G5 Plus and Vivo V9. The Samsung Galaxy Note 8 is being sold at an effective price of Rs 41,990, after Rs 4,000 HDFC cashback and additional exchange discount of Rs 10,000. Amazon will also be offering cashbacks and discounts with the use of Amazon Pay or HDFC Bank. With HDFC Bank, customers will get 10 per cent instant discount on credit, debit cards and EMI. However, there will be a few terms and conditions to care of. On Amazon Pay, users can get 10 per cent back on loading balance in the digital wallet. Amazon will also be providing Prime Now services to all its members. Prime Now is an exclusive service for prime members that gets select items delivered within 2 hours of ordering them. The service is available in four primary Indian cities including New Delhi, Mumbai, Bengaluru and Hyderabad.